From the book granted for the use of Brother Joachim Guerrini, O.F.M. This bookplate is found on a great many of the rare books in Friedsam Library's collection. Along with many manuscripts and incunabula, they represent material gathered by Fr. Guerrini during his tenure here at Saint Bonaventure and later in his career. These books formed the foundation of the library at St. Bonaventure and Fr. Joachim Guerrini is credited as its first librarian. Joachim Guerrini was born in Montefegatese, Italy in 1836. 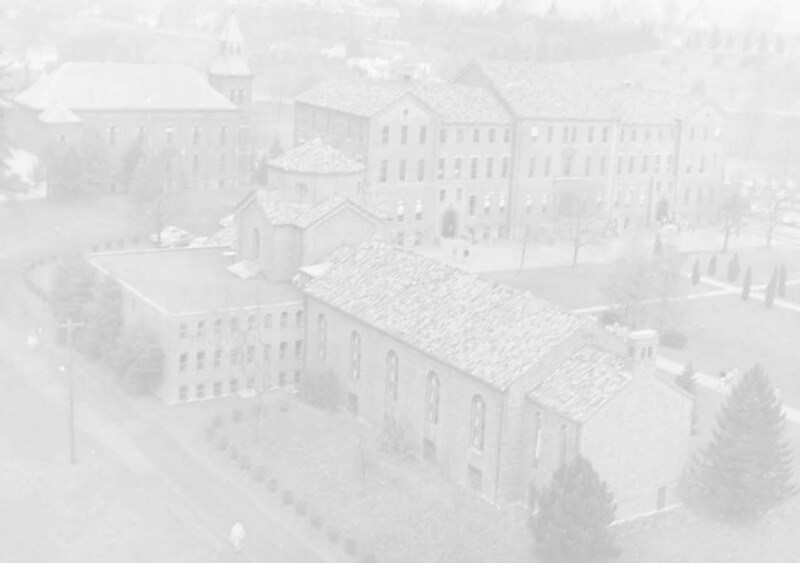 He became a member of the Roman Province of St. Michael and a missionary in the Custody of the Immaculate Conception in North America which brought him to Allegany where the Custody's headquarters was located. Guerrini came to the U.S. as a deacon in 1859 and was ordained into the priesthood on Sunday, Oct. 21, 1860. He was the first friar to be ordained in Allegany, NY. Fr. Guerrini ministered in Allegany and around the Province for the next 15 years. He worked in Towanda, NY, in New York City and in Winsted, Conn. under Fr. Leo da Saracena, later president of St. Bonaventure. He founded St. Leonard of Port Maurice parish in Boston. No matter where he was assigned to work he was always looking out for the spiritual welfare of Italian immigrants as well as enriching the St. Bonaventure library with choice volumes, continuing to do this even after he returned home to Italy in 1879.
the only ones who are doing anything!" He died in Bundarra on November 7, 1918 at the age of 82. Herscher, Fr. Irenaeus. “St. Bona’s First Librarian.” The Provincial Annals 7.3 (1949); 129-131.